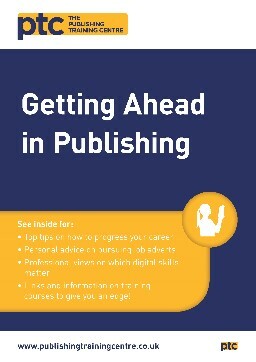 The PTC Guide to Getting Ahead in Publishing is here to help you to progress in your career. It consists of two components: one from Alastair Horne, who works at Cambridge University Press; and one with Maria Vassilopoulos, who runs Jobs in Books for The Bookseller magazine. Alastair started out at CUP ten years ago as a project developer, testing educational software for primary schools; then spent three years as a project manager, working with internal and external teams to deliver that software on time and to budget. After that, he had three more years as innovations manager, prototyping new types of product and investigating new ways of doing business as the industry became increasingly digital. There have been huge changes in the publishing industry over the last five years, and these changes mean that employers are now looking for different skills and experience in their staff. We talked to Maria Vassilopoulos who runs Jobs in Books – The Bookseller magazine’s online, print, email and social media platforms for careers and jobs in the book industry - about the key digital skills recruiters are looking for right now.